YouTube is a great source for inspiration and trend spotting. On a daily base, thousands of clips are being uploaded, and we pick out our personal favorites on a weekly base. This week another top 3 of culinary videos worth watching, based on the interests of Mike Adam, one of our writers. 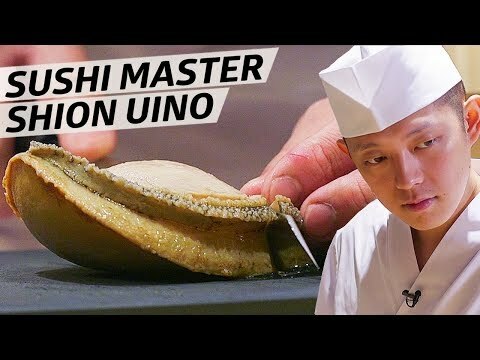 With this week videos about chef Shion Uino from restaurant Sushi Amane in New York City, Mike loves the video because of the focus and calmness with which he creates his sushi. The video about Steven Spurrier is cool for wine lovers, Steven is a wine connoisseur who organized the first wine tasting back in 1976 where he had wines from California blindly tested against wines from France. And do you want to know more about why caviar is so expensive? The third video about cultivating the sturgeon might be interesting to watch then! Casa Velas | Holy Guacamole, time for Guacamania! Do you love guacamole? Casa Velas in Mexico, an adults-only boutique hotel in Puerto Vallarta, has been organizing Guacamania, a tribute to the green fruit, twice throughout the year 2018. Guacamania at the hotel means special avocado-focused menus, avocado-themed spa treatments, a dedicated guacamologist and many more! The Guacamania festival took place in March as well as September (in honor of Mexico’s Independence Day). Lots of millennials reading this blog might hope Guacamania returns in 2019! Inspiration for all the hotels which focus on millennials as guests, why doesn’t your restaurant have a guacamologist? Flip Sigi is a ‘Filipino Taqueria’ with several locations in New York. The restaurant is a modern take on Filipino cuisine specialized in tacos, burritos, rice bowls, burgers and bao buns. Jordan Andino is the chef and owner, who recently created a temporary special new dish: Sinigang Cup Noodles. A combination of Nissin Cup Noodles and a traditional tangy sinigang soup topped-off with a few crispy fries. For restaurant owners it will always be important to continue to respond to the needs of the modern guest. The modern guest with his cell phone, we mean! We have already seen several solutions for this, from actions to enthuse guests to switch off the phone during dinner to offering various possibilities to charge their mobile. This doesn’t always have to go hand in hand with huge investments, an example of restaurant De Dorpskamer in Ermelo (the Netherlands), which offers their guests power banks to charge their mobile phone at the table. YouTube is a great source for inspiration for trend spotting. On a daily base, thousands of clips are being uploaded, and we decided to start with a weekly column of personal selections. This week a top 3 of culinary videos worth watching, based on the interests of Mike Adam, one of our writers. With this week videos about a sublime way to cook your burgers, a Korean Barbeque restaurant with a Michelin star in New York and about a sea food feast of $1.500 in China! This week, amongst others, about Halo Burger that will open the first vegan burger joint that sells the Beyond Burger in London and the Amsterdam-based The Avocado Show will open a restaurant in Brussels by the end of this month. And more vegan news: in London you can follow a fast track vegan chef course! In New York at the Time Warner Center David Chang opened a Korean wrap bar, Bāng Bar. We also spotted crystal cordless lamps! Koppert Cress launches Sweet Peeper! Koppert Cress recently introduced their Sweet Peeper cress! Koppert Cress specializes in cresses; seedlings of unique plants, which each have their own specific effect on the senses. Flavour, fragrance, feel or presentation, there is a cress for all. And the assortment is widening. Every year at least one new item is added to their collection of Micro-vegetables. A collection, which is presented as ‘Architecture Aromatique’. Sweet Peeper is the latest addition and we’re curious for this cress from sweet potato! 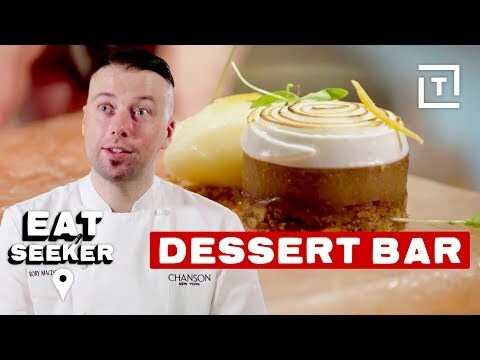 Underneath the article you will find a video in which chef Edwin van den Heykant from Bowery restaurant at the Hilton Schiphol, creates a couple of dishes with the Sweet Peeper cress. The nOcean Strawlet is a cross between a reusable straw and a Livestrong bracelet. Being a stylish bracelet means you’ll always have it on you and it sparks conversations about changing our ways and eliminating single use plastics. The product is made of recycled materials so the straws won’t be creating any more waste on the planet! Half of all the profits from nOcean Strawlets go towards charities that are ridding the Ocean of garbage so not only will you look good, but you’ll feel good too! Each one comes with a cleaning spigot plus cover and there’s also an optional bangle cover. Quite a few years ago it started in Italian restaurants, Mozzarella became the most popular cheese imaginable, even as popular that you started seeing it on menu’s in restaurants all across the board, all across the globe. Then a couple of years ago we started seeing Burrata everywhere, a real delicious cheese that was even softer and better than Mozzarella and these days you can order it everywhere so time to up the ante: Stracciatella! Stracciatella di bufala are small bits of curd and the word means as much as ripped or shredded. Stracciatella is white like its predecessors and is best explained as the inside of the Burrata. Its origins are from the region of Puglia. So don’t worry we are not talking about the cheese and chocolate ice-cream flavor! This soft beautiful cheese is now taking over menus globally! An article from Leonie van Spronsen reporting from New York City. The Guinness Storehouse introduced ‘The Guinness STOUTie’, the ultimate way to make your pint your own. Launched at November 1st to mark International Stout Day, a worldwide celebration of the iconic beer style. Visitors to the Guinness Storehouse will experience The STOUTie, a picture perfect pint featuring a selfie on the head of the iconic black and white stout. This week, amongst others, about shelf stable omelette bars for breakfast and Dubai gets their first floating swimming pool at sea. Also links to a tempting looking purple sweet potato toast and about the new owner of the popular Asian-style chain Wagamama. And chef Quique Dacosta will open a restaurant in London next year! And a video about an adorable latte! Junzi Kitchen is a new-generation restaurant serving Northern Chinese bings and noodle bowls. The restaurant was founded by a team of Chinese graduate students at Yale University with locations in New Haven and New York City. Junzi Kitchen combines Chinese culinary traditions and new ideas with a mission to connect more people and cultures through food. They serve chun bings which are getting a lot of attention as Chinese street food! JUST meat is another one of those great initiatives to reduce the world’s meat production. JUST meat is able to change a chicken feather into chicken nuggets! As meat could be described as a combination of muscle and fat cells, they use cells from the feather as a tissue sample from which meat can be cultivated. They have announced to introduce the cultured chicken nuggets before the end of 2018. However this is probably not possible in the U.S. due to the fact that the USDA and FDA are still reluctant in terms of regulations. This week, amongst others, a link to an article about Crossroads Kitchen that serves luxury plant-based seafood towers for vegetarians! But also a link to an article about the new fish markets in Tokyo, Toyosu Market and Panera Bread started a campaign around food transparency: ‘Food Interrupted’. McDonald’s started with testing ‘cold brew coffee’ in all their San Diego based restaurants. Further we show links to Christmas flavoured chips, Starbucks opens their first U.S. signing store and in London a restaurant called ‘Potus’ will open next week! The sustainable, Amsterdam-based herbal concept Hrbs has been around for more than a year now and operates in various kitchens in Amsterdam, for example in the circular Circl. Pavilion of ABN Amro, Hilton Double Tree, De Bijenkorf, The Green House, Hotel Andaz, Hotel Zoku, Hotel Arena, La Place Nijmegen and Hotel Artemis. Hrbs supplies crops and herbs in circular trays from a local herb nursery. A meal that is tailored to your DNA? It might sound like complicated and overly remote but this is changing: ultra-personalized food or eating exactly what your body needs! Vita Mojo in London is the first take-away restaurant that offers these meals. In addition, we spotted several other providers that are working on food based on your DNA, examples of Nestlé and of a DNA company in America that works with Amazon to deliver personalized meals at home. We would like to taste the meals of Vita Mojo … however, handing over your DNA sample to third parties? Your DNA sample is pretty much the only thing that’s really ‘yours’ nowadays. Would you do it? Frosted Key Lime shake | When will we see pie shakes in the Netherlands? The American fast food chain Chick-Fil-A is currently testing the Frosted Key Lime shake in Austin, Texas. The concept of shakes with cake taste is certainly not new, last summer we already mentioned Polly’s Pies shakes in Los Angeles in one of our articles on horecatrends.com. A pie shake is made by mixing scoops of ice cream with a piece of pie. The drink is then topped with a dash of whipped cream and garnishes as desired. In this case, the dessert Florida Key Lime pie has been an inspiration for the final Frosted Key Lime shake, which must taste like pie, but isn’t a mixture of pie and ice cream. We still wonder when we will see this kind of shakes in the Netherlands! Everyone who follows our website knows that we like to inspire in the field of ‘small welcoming gestures’. Recently we have spotted such a nice and humorous little gesture that might inspire hotels in the Netherlands for our ‘Sinterklaas period’, in the last months of the year. The hotel Le Royal in Luxembourg City has a humorous chocolate coin on the bedside table after the turndown service! At the beginning of October, our colleagues from Van Spronsen & Partners hospitality consultancy, published their sector research ‘De hostel in beeld’ (published only in Dutch). This publication shows that the youth hostel image has been stuck to the hostels for years, it’s now changing partly thanks to the newer, contemporary trendy concepts. Nowadays, hostels also profile themselves partly as hotels, with less large dormitories and more private rooms. This ensures a separation in different types of hostels: the classic youth hostel, budget hostels and boutique, design hostels. A nice example of a hostel where it is not just about the overnight stay is the Wellness Hostel 4000 & Aqua Allalin in Saas Fee, Switzerland. And in 2020 a second Wellness hostel will open in Laax, Wellness hostel 3000 & Aua Grava. This week, amongst others, about ‘The Zombie cocktail by Bacardi’ and for those in search of a spectacular dessert: how about a cotton candy baked Alaska? The foodies living in California might be lucky: Massimo Bottura might open a second Gucci Osteria in Beverly Hills and Elon Musk will start selling ‘Teslaquila’. We also found to articles about beer: Starbucks in China is selling ‘beer lattes’ and about the effect of climate change on the production of barley, one of the main ingredients of beer! And for those who are fans of LEGO: there is a pop-up Brick Bar made of LEGO coming to London! It’s a bit long the video above, but one foodies really have to check out! Besides the fact that it’s a professional video it also shows the ambition of London born culinary expert Rory Macdonald. Since March 2017, Rory Macdonald has opened Flatiron shop Patisserie Chanson. It’s a higher-end pastry shop or as they say themselves, “a patisserie by day and a dessert bar by night”. But guests can still regularly stop by for a breakfast pastry, a quick lunch, or even an afternoon tea. The Dessert Bar is an all-sweets tasting-menu restaurant in the shop’s lower floor. Another must visit spot in NYC for foodies and sweet tooths. Restaurant Ducasse sur Seine; haute cuisine, hospitality, culture and technology on an exclusive cruise ship in the Seine. Since 18 September, the ship sails past the highlights of Paris in 90 minutes, while guests can enjoy a 3 to 5-course menu at top level. We already wrote about the upcoming opening in our ‘trends we spotted’ in August, now we know more!